Did you know you can make your very own birthday book in our All About Me activity? Select the orange “When is my birthday?” box to choose your birthday season, plan your birthday party, and end with a personalized birthday book. The updated All About Me app is now available in iTunes, Google, and Amazon. 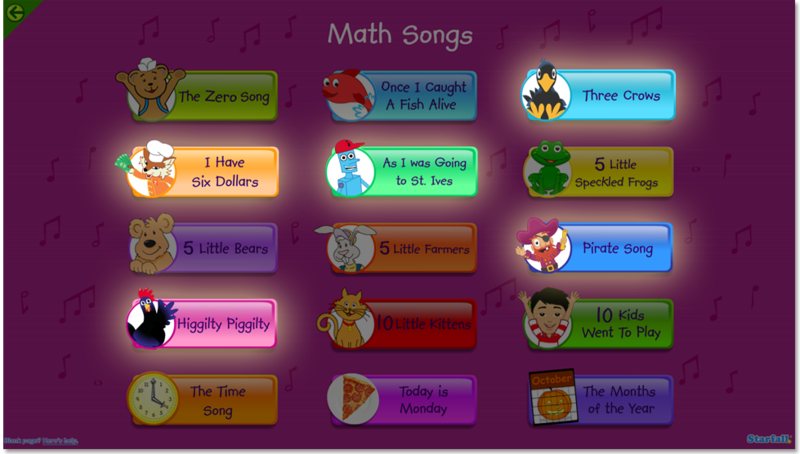 Did you know five new math songs have been added to the Math Songs Index? Three Crows, I Have Six Dollars, As I Was Going to St. Ives, Pirate Song, and Higgilty Piggilty. Try them out today! Did you know that many of our holiday books include a fluency option that allows children to hear the text as well as read it? This fluency option can be accessed to clicking the Ear button next to a sentence within the holiday book. This will read the text aloud so your child can hear the text and read it at the same time. This fluency option is now available in an additional three holiday books -- Garden Shop, Find a Four Leaf Clover, and Spring Word Hunt. These updates will soon be included in our Starfall App as well. Visit them with your child today! Did you know that Starfall offers 93 first grade level stories? 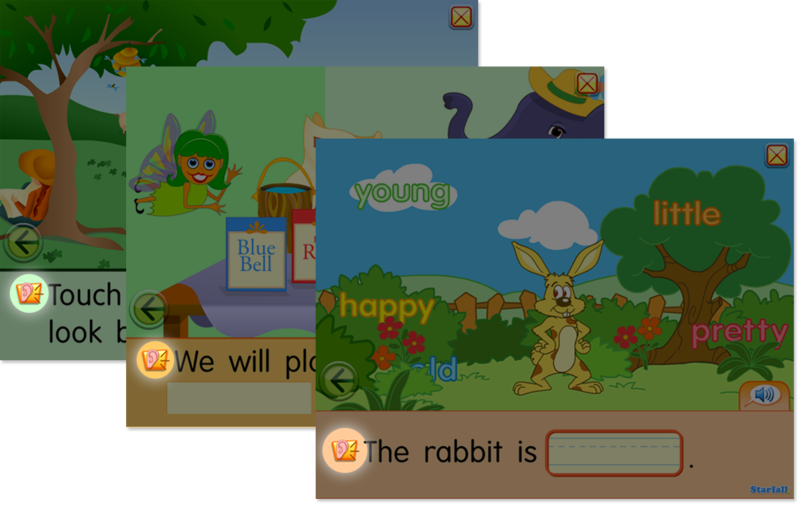 Click the More Phonics activity to access stories in eight sequential units, covering topics such as friendship, teamwork, nature and wildlife, science, folktales, and fables. Each unit focuses on specific reading skills outlined in a detailed scope & sequence chart. Several units also contain additional games to play. You can read the More Phonics book levels in this downloadable PDF. Book leveling will help you match children to books that are challenging enough to help them progress. Become a Starfall member today to access all 93 fun stories! Did you know that you can listen to music by famous classical composers in the It’s Fun to Read section of Starfall? Click the Music button on the It’s Fun to Read menu to share beautiful music from composers such as Beethoven, Mozart, and others! You can enjoy all the music with your child both as a Starfall member supporter and on the free website or app. Did you know that your child can learn sign language at Starfall.com? 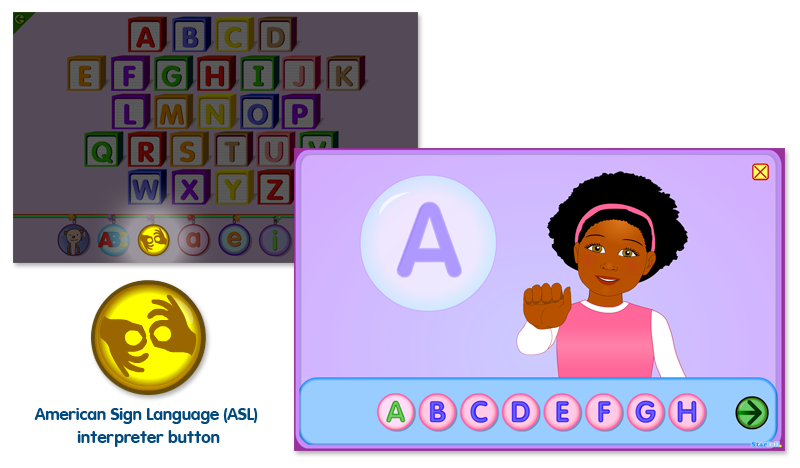 In our ABCs activity, click the American Sign Language (ASL) interpreter button to learn the alphabet in sign language. 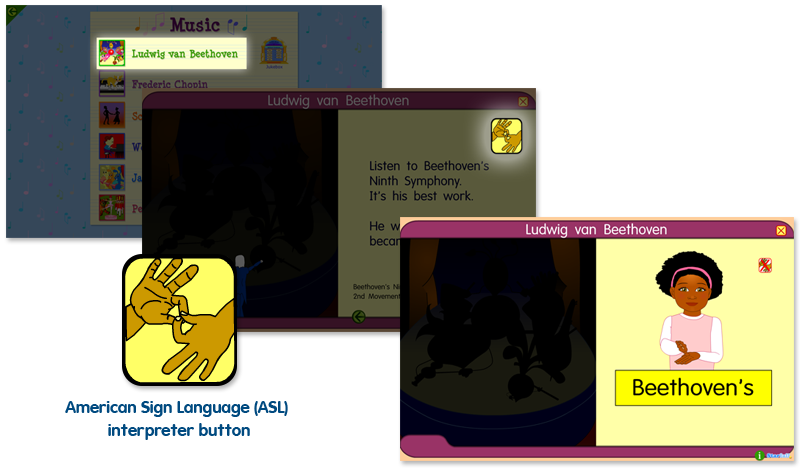 In our Ludwig van Beethoven Music activity, click the ASL interpreter button to learn additional sign language words. You can find Beethoven in It’s Fun to Read: Music.